The body of a Progressive Insurance agent who vanished in Costa Rica last Tuesday is thought to have been found buried behind the Airbnb property she was staying in. Carla Stefaniak, of Hallandale Beach, Florida, went to Costa Rica with her sister-in-law to celebrate her 36th birthday. Her brother, Mario Caicedo, told NBC News that Stefaniak missed her flight home on Wednesday, November 28, despite checking in online. 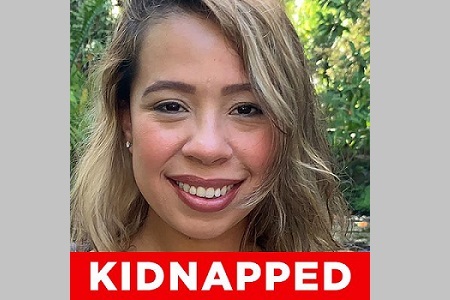 The last known sighting of Stefaniak was at a villa in San Antonio de Escazu outside the capital of San Jose on Tuesday, November 27. A missing person investigation was launched by Thursday, November 29. On Monday, December 03, Costa Rica’s Judicial Investigation Department (OIJ) reported finding a body buried in a mountainous area at the back of the Airbnb property where Stefaniak had been staying. OIJ director general, Water Espinoza, said: “The body was in a state of decomposition, but the preliminary observation does verify the body is a woman.” According to a UPI news report, investigators also revealed that biological fluids consistent with blood were found in the Airbnb. They will be tested in order to determine the identity of the woman in an autopsy. NBC News reported that Stefaniak dropped her sister-in-law, April Burton, at the airport in San Jose on Tuesday before returning to her Airbnb rental in an Uber. That evening, she allegedly posted a message on WhatsApp saying there were heavy rains and that the “power went off … super sketchy”. Stefaniak, who sells insurance for Progressive in Hallandale Beach, was last on WhatsApp at 8:20pm on Tuesday. She has not been online since and a number of text messages sent to her after midnight on Tuesday were not returned, her family said. Family members started a Finding Carla Facebook page, using the hashtag #FindingCarla to try and raise awareness about her disappearance. The family is reportedly frustrated by the lack of urgency among US and Costa Rican officials. However, a US state department spokeswoman told WTLV-TV it's actively looking for Stefaniak.